Defence cuts are a massive transfer of sovereignty to the EU. With no apparent notice or discussion, the UKs armed forces are being dismantled. Our armed forces were already understrength and over committed. The Navy gave up a number of ships in return for a promise for 2 new aircraft carriers as part of the 1998 defence review. That number now reduced to 1, and even that subject to indefinite delays on construction and aircraft. To have a government/state, the first requirement is for to be able to defend itself. If it can't be defended itself it has no sovereignty, it operates only at the whim and by virtue of the good will of others. Without credible UK armed forces, there is no credible UK. If we are reliant on EU forces then EU are soverign here. Dismantling our armed forces transfers sovereignty to the EU - where is our referendum? The current phase of transfer of power and (post Lisbon) is well under way. The 'Bonfire of Quangos' does not remove the 'work' they did, often the UK quango was cut because there was already an EU quango in place to perform its function. The same is happening with UK armed forces - this transfer is not about giving the EU operational control over our forces. It is winding down UK forces while the EU expands its own - with no history, loyalty or any other national baggage to hinder its obedience only to the unaccountable EU commission and their unelected 'High Representative'. 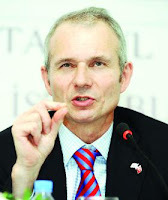 ConservativeHome bravely published an article "Why every Conservative can be proud of the European Union bill" from the Minister for the EU, David Lidington yesterday. out of the EU Bill? About this much. It was brave because the bill is about as popular as a dog turd sandwich amongst rank and file Tories and Lidington trying to sell it as "the most radical piece of legislation on how we handle the EU since Britain joined the then EEC in 1973" was never going to go down well but I don't think anyone expected it to go quite as badly as it has. There are too many comments to count - there must be a couple of hundred by now - and I can't find one single comment agreeing with Lidington. What there are lots of are comments from Tories saying how fed up they are of the europhile Tory leadership and people like David Lidington, William Hague and David Cameron insulting their intelligence by telling them that the EU Bill is protection from the assaults on our sovereignty by the European Empire. It makes you wonder how the Tories have managed to keep as many members as they have judging by the number of unhappy people on ConHome. Yesterday I was told that Richard Barnbrook, the former BNP London Assembly member, had joined the English Democrats. I was also sent these two links to posts on the British Democracy Forum: The truth about the BNP rumours and Save your party before its to late [sic]. Read them, they are quite an interesting insight into the workings of the English Democrats. I thought I would wait and see how this unfolded because I had also been told recently that the English Democrats had approached UKIP to discuss an electoral pact. Sometimes it's better to wait and see what other people have to say rather than being the first one to comment! We urge all English Democrat who feel as we do about this to join UKIP now. I won't disguise my feelings towards Steve Uncles: I can't stand the bloke. He is a disgrace to English nationalism and a disgrace to English politics. In fact, he's a disgrace to England. He is a bad-mouthed, vindictive wannabe whose inept leadership (Robin Tilbrook is technically leader but Uncles is the one pulling all the strings) has led the English Democrats to possibly its lowest point electorally in finishing behind the Monster Raving Loony Party in the Oldham East & Saddleworth by-election last week. I have been contacted by a number of English Democrats since that election who were telling me they would jump ship to UKIP if only we had a policy of supporting devolution. Some of them will probably jump ship anyway now, unwilling to remain in a party that has courted Sinn Féin, employed the BNP's marketing people, had an electoral pact with the English First Party and has now admitted a former high-ranking BNP member into the party and promised him a place on their regional list for London. As one high profile member of the English Democrats said to me this morning, "A dreadful mistake that undermines everything the party has said for years". 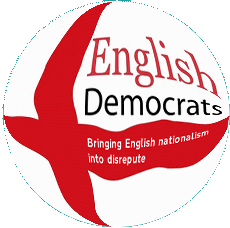 The English Democrats is a party in decline. They are heavily in debt to their current leader Robin Tilbrook, to their former Vice-Chair Christine Constable and to the great man himself, Steve Uncles. They are haemorrhaging members, those that are left in the party are becoming increasingly unhappy with the way the party is going and their reputation has never been worse. nationalists like myself who recognise that the EU is one of the biggest barriers to an English Parliament with their insistence that devolution in England has to be done at a euroregional level. But UKIP's devolution policy does have to change - not just to attract disaffected English Democrats but to build on our electoral success. The English Democrats have never been much of an electoral threat to UKIP but there are a lot of votes out there that we're not getting because of our anti-devolution policy. It took the Tories a couple of years to see the writing on the wall and grudgingly accept that devolution was here to stay. Now they're all for it (as long as it doesn't apply to England). The SNP out-poll UKIP by an order of magnitude in Scotland, as do Plaid Cymru in Wales. The nationalists in Scotland and Wales consistently reject UKIP and it's only the English Democrats' toxic reputation that has stopped English nationalists from abandoning UKIP in England. I would urge those disaffected English Democrats thinking about joining UKIP to do it. Hold your nose if you need to and join my efforts to change UKIP's anti-devolution policy. 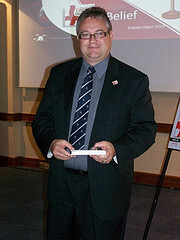 The only big differences between UKIP and the English Democrats are their devolution policy and Steve Uncles. This year UKIP will be contesting local elections in England and elections to the devolved executives in Scotland, Wales and Northern Ireland. UKIP will be putting a fair bit of money into this year's elections but is it going to be spent where it's most likely to be turned into electoral success? Cards on the table, I'm an English nationalist. It's no great secret and anyone who reads this blog regularly, reads the Bloggers4UKIP Twitter feed, reads my own blog or the UKIP members' forum will know that I am an active campaigner for an English Parliament and have spent the last year or two debating (sometimes rowing) with fellow UKIPpers about devolution. I even set up the 1997 Group for like-minded UKIPpers. UKIP's policy on devolution is wrong and a lot of members agree with this and support a change in the current policy of abolishing the devolved executives and establishing Grand Committees of British MPs to replace them - an extension of the Tories' now-abandoned English Votes on English Laws policy to establish Scottish Votes on Scottish Laws, Welsh Votes on Welsh Laws and Northern Irish Votes on Northern Irish Laws instead of democratically accountable devolved executives. But it's not just UKIP members that our policy makers should be listening to - they should be listening to the general public. Only a fool would think that the Scots could ever be convinced to give up their parliament and the Welsh will cement the tenuous 51% yes vote for devolution in 1997 with a reasonable majority in favour of the Welsh government being given primary law making powers in this year's referendum. And of course the Northern Irish Assembly was part of the Good Friday and couldn't be abolished without seriously damaging relations with the Republic of Ireland and risking a return to violence in the province. That just leaves England unrepresented - the last colony of the British Empire. Seven out of ten people want an English Parliament or at the very least a ban on MPs not elected in England voting on English laws according to four independent opinion polls in four years commissioned by three different organisations. So with devolution quite obviously here to stay and supported by most voters, UKIP is going to contest elections in Scotland and Wales this year on a platform of abolishing the devolved executives. This is lunacy. We will be lucky to finish above the Monster Raving Loony Party in Scotland (just ask the English Democrats how embarrassing that is) and there is the very slightest chance we might get an AM elected in Wales thanks to the elections there being held under PR (an EU directive, naturally) and a very marginal shift to the right in Wales after decades of mismanagement by the rancid left. In England, however, we stand a real chance of gaining from the distrust of the LibLabCon parties, the implosion of the Lib Dems, the displeasure at the ConDem "cuts" (in reality, just reductions in the increase in spending) which are primarily targeting England and the inherent conservatism (small "c") of England. But how much of the election money will be left for English election campaigns once the Scottish and Welsh campaigns have been paid for? UKIP is clearly going to be pushing hard for votes in Wales, judging by the addition of welsh party descriptions for UKIP to the register at the Electoral Commission. Names such as "Abolish Assembly UKIP" and "UKIP Scrap Assembly" will be appearing on ballot papers for elections to the Sennedd, presumably signalling an intention to mount a large and expensive campaign in Wales. UKIP Scotland and UKIP Wales have been registered but no UKIP England or UKIP NI (more on Northern Ireland at the end). Now clearly I'm biased on the subject of devolution - I could hardly claim to be impartial on the subject when I'm on the National Council of the Campaign for an English Parliament - but let me put it to you another way. Is it a reasonable way of ensuring our money is well spent in the election to establish the principle that central party funds are only put into areas where we retained a deposit in the last general election, that money should be put into areas where branches put in the effort and where there was support for the candidate and that money shouldn't be frittered away on areas where we have no active branch and where there is demonstrably very little support for UKIP? Does that sounds reasonable? To me it does and the fact that we didn't retain a single deposit - didn't even come close to retaining a deposit - in Scotland or Wales is just a happy co-incidence. I will be standing in the local election this year in my own ward but I don't expect and won't ask for any money from the central party. Our branch has enough money in the kitty to fund all our candidates so I have no vested interest in how much money the party puts in to English elections - I just want to see UKIP do well in this year's elections and we are only going to do that by putting our resources into winnable elections. I said I'd mention Northern Ireland at the end and I deliberately left it out of this argument because for UKIP it's a special case. The NI branch is new and covers the whole of the province. It has only one councillor who predates the branch's formation. UKIP has never contested Northern Irish elections and Northern Ireland doesn't really feature in any of the discussions about the EU because politics there is so different to the mainland. We have nothing to lose by dipping our toe into Northern Irish politics (particularly as UKIP NI is ignoring UKIP's daft devolution policy and supporting Stormont) as long as it's not a half-arsed affair with no money or effort put into it. So, in a nutshell what I am saying is this: put our resources into areas where we have known support evidenced by retained deposits at the last election and not into unwinnable elections for devolved executives that we are committed to abolishing against the wishes of the electorate. UKIP has had a double dose of good fortune this week with the defection to UKIP of Conservative councillor and former Mayor of Sefton, Councillor Alf Doran and the announcement that former Conservative donor, Stuart Wheeler, has joined UKIP and been appointed Party Treasurer. Councillor Doran said he couldn't represent a party whose leader couldn't be trusted and has switched allegiances to UKIP. He is due to stand for re-election next year and will sit as a UKIP councillor until then. Stuart Wheeler, who holds the record for the UK's largest single political donation of £5m to the Conservatives in 2001, was booted out of the Conservatives last year for donating £100,000 to UKIP's election campaign. He formed his own party shortly afterwards to contest an election but failed to retain his deposit and has now decided to return to mainstream politics with UKIP. He joined UKIP and was appointed Party Treasurer by a vote of the NEC on Monday. They say things come in three's. Let's hope the third piece of good fortune is a UKIP win in Oldham & Saddleworth tomorrow. The EU Bill had its first day of parliamentary scrutiny today and it was a bit of a farce. can have a referendum. Scouts honour. Tory MP, Bill Cash, has tabled a number of amendments to make it do what it says on the tin and fellow Tory MP, Douglas Carswell, called it a "bogus EU bill". Labour MP, Yvette Cooper, describes it as "badly drafted and contradictory". William Hague, meanwhile, describes it as "the strongest defence of national democracy put in place anywhere in Europe". It's an interesting comment from Little Willy. He says it's the strongest defence of national democracy anywhere in Europe. Why do Switzerland, Norway, Russia or any of the other countries in Europe that haven't stupidly signed themselves up to the EU project need a law to defend their national democracy? They don't because they don't have the EU trying to steal it from them. And surely this is the first time a front bench MP from one of the pro-EU parties has admitted that we need laws to defend our national democracy from the EU, that the EU is actively trying to undermine our sovereignty? An unexpected and presumably unintentional admission from the Tory Foreign Minister that the EU is working against our national interest. Back in November, the Republic of Ireland came under pressure from France and Germany to accept an illegal bailtout from the EU. Ireland, of course, said it didn't need a bailout and that it was worried about the loss of sovereignty associated with mortgaging the country to the EU but what little faith investors had left in the Irish economy was undermined and a week later they accepted a €100bn loan from the EU (including several billion from the UK) and IMF. The required changes to the Lisbon Treaty to make bailing out member states legal have been made (another broken promise by Cast Iron Dave) paving the way for the next bankrupt Eurozone country to be bailed out. Greece has already had €110bn from the EU and IMF, the Republic of Ireland has had £100bn and next on the list is Portugal who will be taking €80bn. Portugal says that it doesn't need a bailout (like Ireland said) but France and Germany are trying to pressurise the Portuguese government into taking a bailout sooner rather than later (like they did to Ireland). The French and German stock markets fell by about 1 and a half percent each and the FTSE fell half a percent on the news and the Americans are fretting about the risk of European sovereign debt. Portugal is going to try to sell €1.25bn of bonds on Wednesday to get its hands on some cash and the interest rates are expected to be high. Bonds are basically a type of loan taken out by governments from private markets with a guaranteed amount to be paid back on a specified date (assuming the country issuing the bonds doesn't default like Greece did). The amount of interest investors demand on the bonds is an indication of the risk - if they think there's a chance the bonds will be defaulted on then they will demand a higher percentage rate, just like a high street bank does based on peoples' credit ratings. On Thursday, Spain and Italy (the other two bankrupt PIIGS countries) will issue their own bonds to try and raise cash and how well they do will depend on Portugal's bond issue on Wednesday. The ECB will probably buy more Portuguese bonds (it's already been buying up Greek, Portuguese and Spanish bonds to try and encourage investors) but as the ECB is the central bank of the failing Eurozone, it's a mystery how they expect investors to be reassured by their purchase of potential toxic bonds from the bankrupt PIIGS countries using their own money! The order of the fall of the PIIGS has already predicted - "Portugal, Spain and Italy will be next" - Portugal will be bailed out in the next couple of weeks and then Spain will follow shortly thereafter. Or will it? Can EU member states (or the IMF for that matter) afford the €250-300bn it will cost to bail out Spain? Will Spain be the straw that breaks the kamel's rücken and leads to Germany pulling the plug on the Euro? The EU's political elite will defend the Euro and the EU project to the bitter end but the money will run out soon and Germany has been lucky so far to have pretty much escaped the consequences of the collapse of two Eurozone economies. Next time they might not be so lucky and when the impending collapse of the Euro starts to hit Germans in the pocket they will be out of it. John Ward notes that the Coalition is falling from grace. Indeed so. Perhaps the electorate is waking up to the fact that it doesn't matter who you vote for, the EU government gets in. All three main parties support corporatism and are themselves supported by corporatism. The EU being corporatism personified, our only hope is to leave the EU. It will be a cold day in hell before the 3 parties support small businesses rather than merely paying lip-service to the notion. While I can understand voters voting for Cons or Dems to keep Labour out, it is precisely this propensity which brought us a ConDem government. If we want change, knowing that we will not get it from the main three, we need to have the courage to vote for any party/independent which is not one of the main 3. My preference is UKIP and I believe that this preference is growing. Many argue that UKIP would be incapable of forming a credible government even were it to obtain the required number of votes to do so. The reality is that UKIP, were it to win seats, might well become "kingmaker" supplanting the Dems. Here, it is worth noting that in a recent poll, the Libdems obtained a mere 7%, while UKIP managed 5%. It is not inconceivable therefore that with the growing disillusionment of the electorate might put UKIP's share of the vote above that of the Dems. Surely, this would be preferable to the EU-skewed configuration we now have in Parliament. Support for the Lib Dems has slumped to a 20 year low of just 7% according to YouGov. In the same daily poll, approval of the British government is down to just 33% with 53% disapproving. Unsurprisingly, 85% of Conservative voters approve of the ConDem government but only 40% of Lib Dems approve and 33% disapprove. An unbelievable 66% of people who voted Lib Dem at the last election disapprove of the ConDems. Sadly, only the LibLabCon are included in this daily polling so we can't see the UKIP effect but just before Christmas, YouGov showed that UKIP were rapidly catching up with the Lib Dems so some of that former Lib Dem support - the people who voted Lib Dem because they didn't want to vote Labour or the Tories but didn't want to cast a "wasted" vote - is bound to come to UKIP. But what 2010 brought in many ways heralds what 2011 has the potential to bring. Those two men are sitting side by side because there is a disenchantment with three party career politics. After 13 years of Labour there was no definite winner in that election and it's hardly surprising, because they're all but identical. 2011 is the year of potential for UKIP. It's the year of big opportunity. 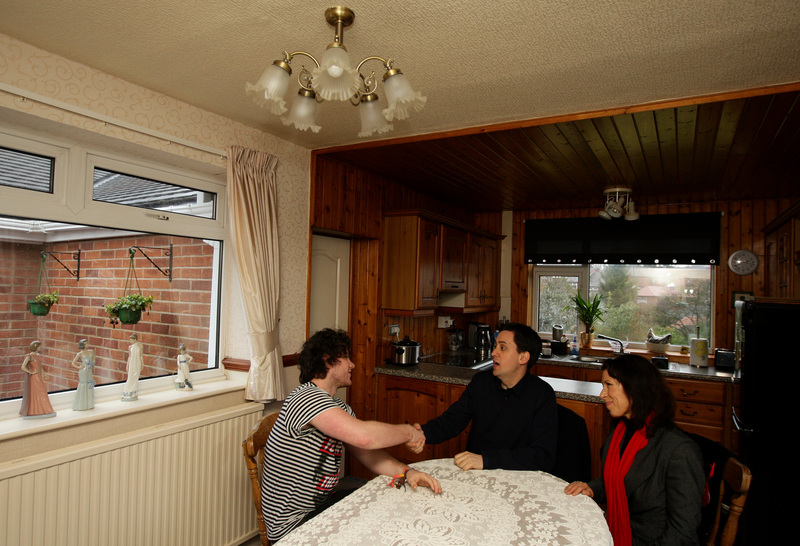 In the second decade of this millennium we can show people that enough is enough; it's time for a real change. And it's up to the UK Independence Party to provide it.